Note: Feel free to double this recipe to make a bigger pizza, just make sure that you have a large enough cookie sheet or pizza pan to roll the dough out really thin! Combine all ingredients and mix until a dough forms. Place on greased baking sheet. I used spray organic olive oil but you can use coconut oil etc. Use a mason jar to gently roll out the dough to make a large circle. Make sure you roll out the dough very thin**. 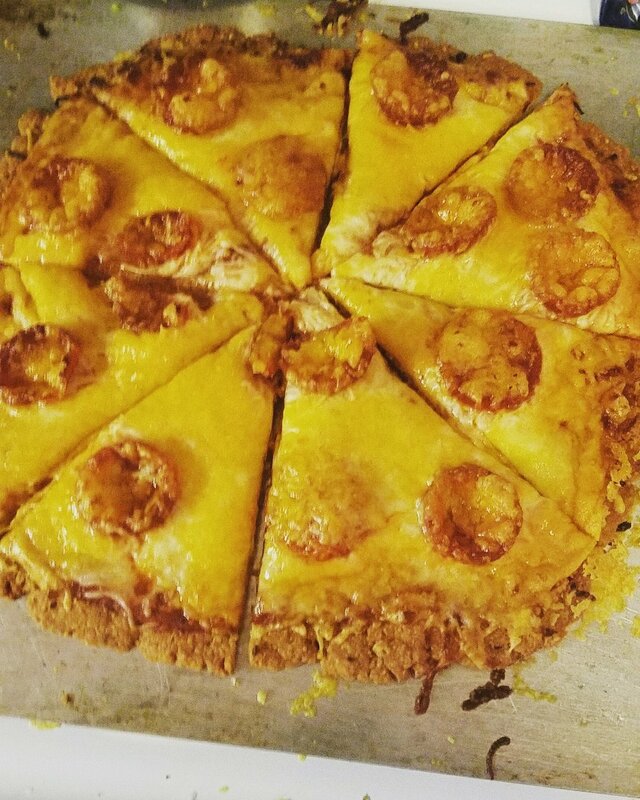 If you do not the pizza will be too rich from the fat in the pork rinds. 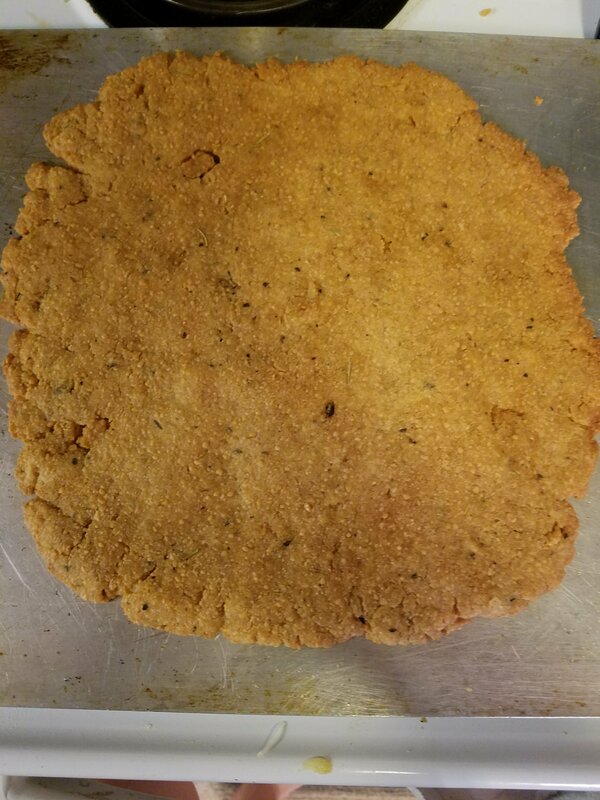 Rolling it out very thin makes for a crunchy, almost cracker like crust with an amazing flavor. Bake at 350° for about 12 minutes or until the crust is golden brown. Remove from oven and add desired pizza toppings. Turn oven up to broil and place pizza back into the oven until cheese is golden and bubbly.